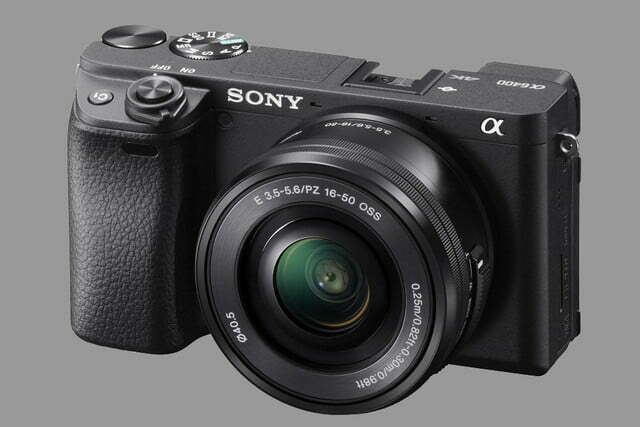 After taking the title for the top-selling full-frame camera brand, Sony is funneling that technology into a smaller, APS-C mirrorless shooter. On Tuesday, January 15, Sony unveiled the A6400, a mirrorless camera that takes some of the same technology inside the full-frame A7 III and A9 series and repackages those features into a $900 camera. 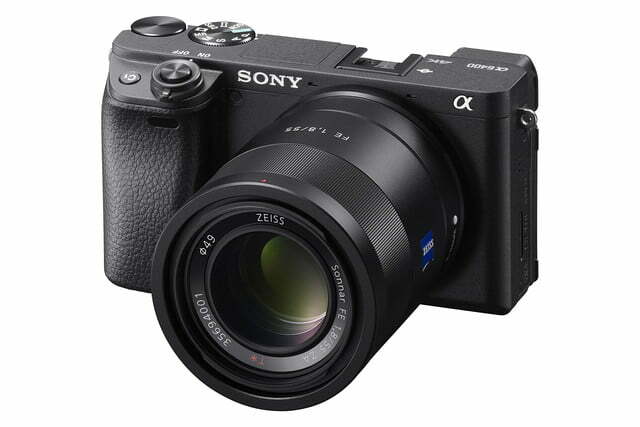 The A6400 uses a 24-megapixel APS-C sensor with the Sony E-Mount, but incorporates autofocus performance of the brand’s pricier models. 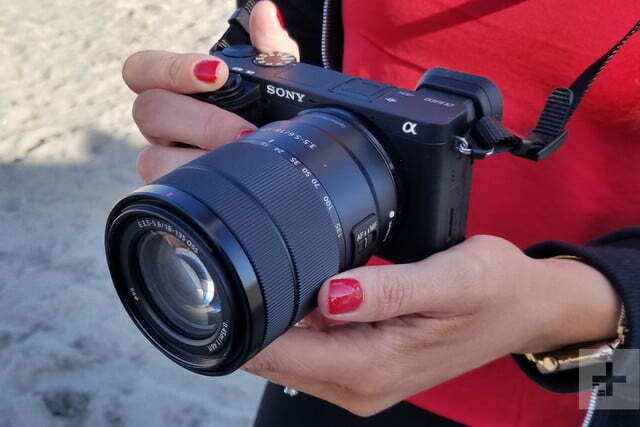 Sony claims the A6400 has the world’s fastest autofocus, locking on to subjects in as little as 0.02 seconds using a 425-point phase- and contrast-detection system that covers 84 percent of the sensor area. 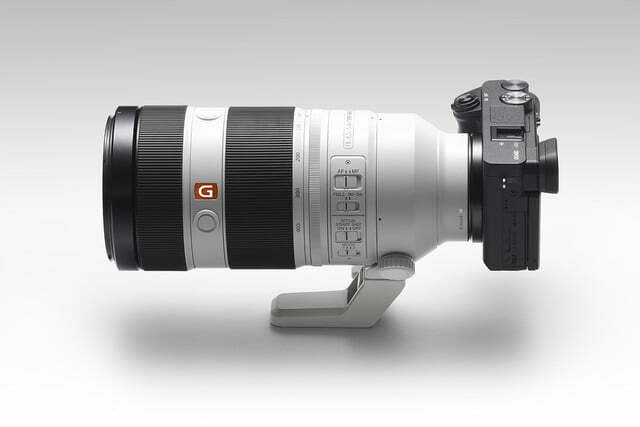 The camera also uses Real-Time Eye AF that now works for animals in addition to people, and Real-Time Tracking supplemented by artificial intelligence — both features that the pricier Sony A9 will also gain in an upcoming firmware update. A.I.-based object tracking will also allow the camera to focus on the eyes for wildlife and pets, in a firmware update coming this summer. 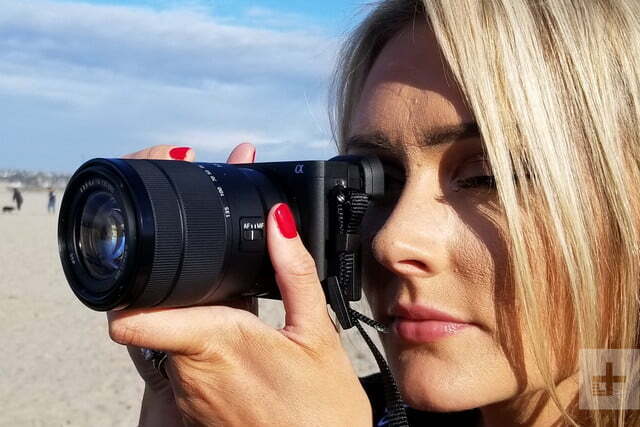 Eye AF (on humans) has been around in Sony cameras for a while now, but the A6400 enhances it with improved accuracy and speed thanks to A.I. Sony’s Real-Time Tracking is also enhanced, which can now follow patterns in addition to color, distance, and spatial information to make subject tracking smoother and more accurate. Like the A6500, the A6400 can shoot continuously at 11 frames per second without ditching continuous autofocus and autoexposure. It can maintain that speed for up to 116 standard JPEGs or 46 RAW files, which is certainly decent for a $900 camera. That’s thanks, in part, to the latest Bionz X processor, the same one found inside the full-frame Sony A9. 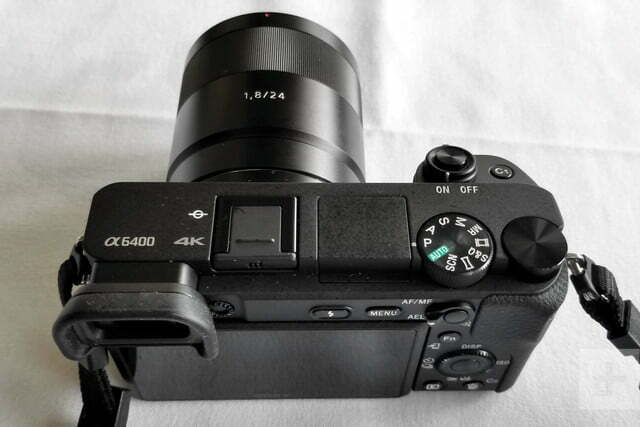 Naturally, the camera can shoot 4K video in addition to the still photo features. 4K is recorded with full pixel readout and no pixel binning, oversampling more than the required number of pixels for better sharpness in the final output. 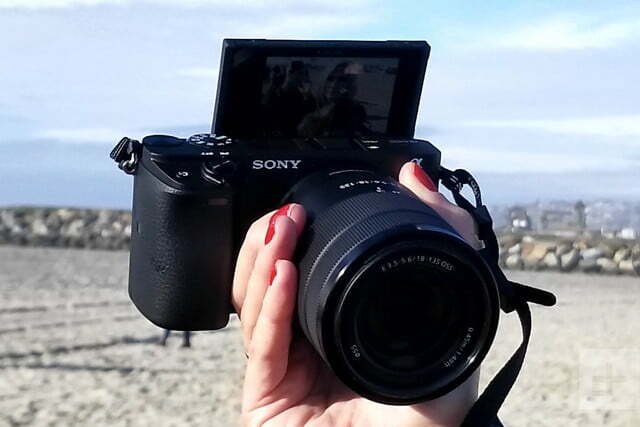 Hybrid autofocus brings enhanced performance to video, as well, including object tracking. While we’ll have to wait for our hands-on experience to judge image quality, Sony claims it has achieved new levels of low light performance with the A6400. The ISO range stretches from 100 to 32,000 and is available for both stills and video. Stills can also be shot with an expanded ISO up to 102,400. Hybrid Log-Gamma (HLG) video is also included for HDR workflows, a first for Sony’s APS-C lineup. S-Log2 and S-Log3 are still there, as well. Slow-mo fans can shoot HD video at 120 fps. Of note to vloggers and selfie shooters, the LCD screen can flip a full 180 degrees above the camera body. 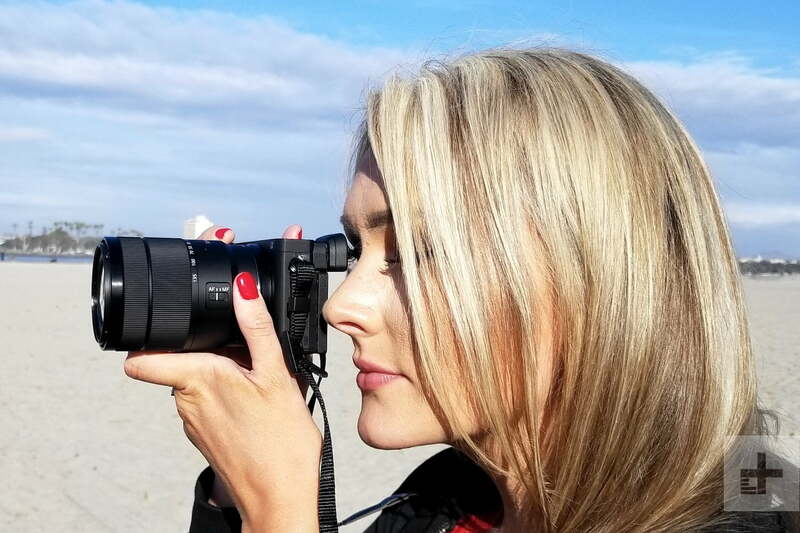 An electronic viewfinder (EVF) is also built in. The included battery is rated for 360 to 410 shots, well below the 700-shot range of newer full-frame models but still decent for a mid-level mirrorless camera. The Sony A6400 will be available beginning next month for $900 body only, $1,000 with the 16-50mm f/3.5-5.6 kit lens, or $1,300 with an 18-135mm f/3.5-5.6 lens. The announcement is Sony’s first APS-C mirrorless announcement since 2016’s A6500. 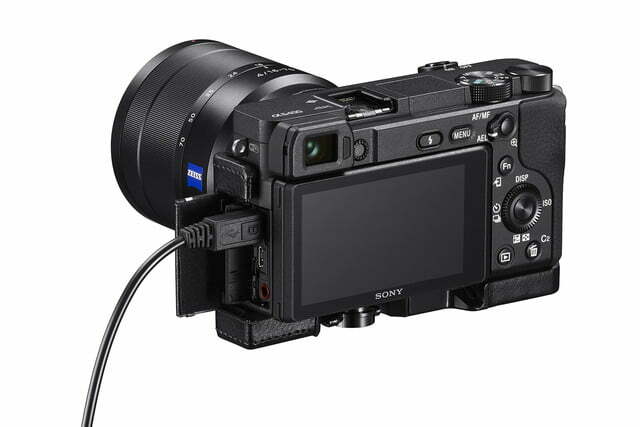 The newest APS-C format encompasses some of the same features as Sony’s more expensive full frame cameras, but in a smaller body and at a lower price. 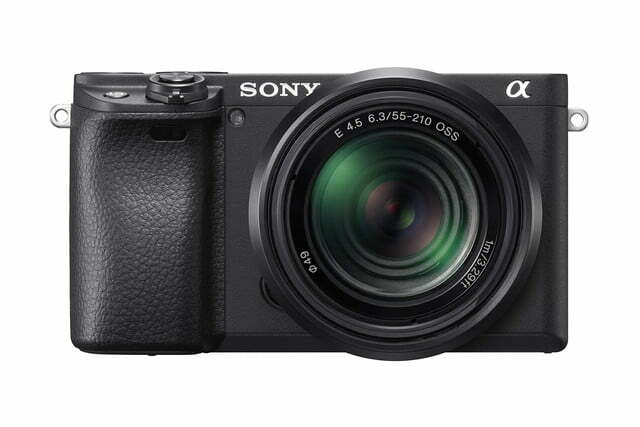 Sony’s focus on full-frame cameras isn’t going anywhere. 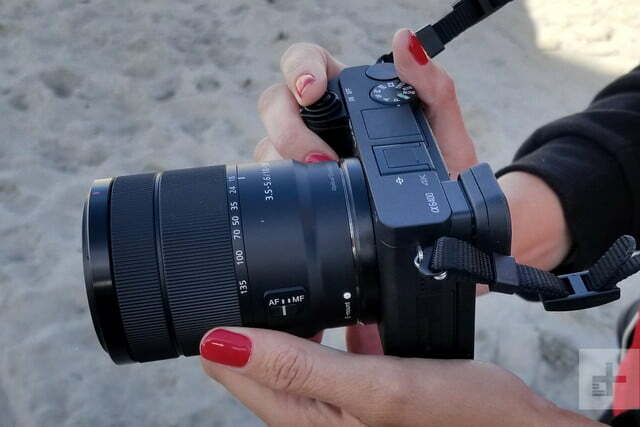 “Going forward, full-frame mirrorless will continue to evolve in new and exciting ways,” Kenji Tanaka, vice president of Sony Corporation, said during a press conference. Supporting that statement, Sony will also be bringing some of the new autofocus features on the A6400 to the A9 through firmware. The A9 will gain Real-Time Tracking, as well as animal Eye AF and the ability to select either the left or right eye in addition to the automatic setting. 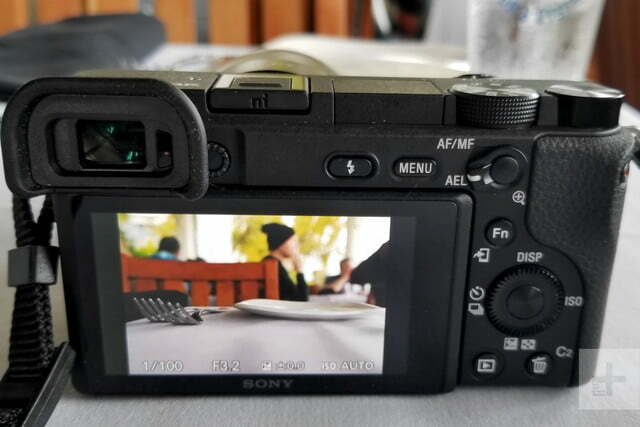 Sony says the firmware will also introduce a number of other features, including enhanced image quality with more natural color gradations and the ability to set JPEG quality in RAW plus JPEG mode. Sony is also launching two new apps alongside the firmware update: Imaging Edge Mobile (the successor to PlayMemories Mobile) and a transfer and tagging add-on app designed for professional photographers. A9 firmware 5.0 is set to launch in March while version 6.0, which will include the animal Eye AF, is expected over the summer. Version 6.0 will also add a built-in intervalometer and time-lapse capabilities. The Sony A7R III and A7 III will also see firmware updates to add Real-time Eye AF, including animal Eye AF, and interval recording.